Although we’re five hundred miles from the orange sunsets of the Franklin Mountains, and two hundred miles from the blue Gulf waters, you will find our 2-1-0 “Picks Up” spirit, deep in the heart of Texas. 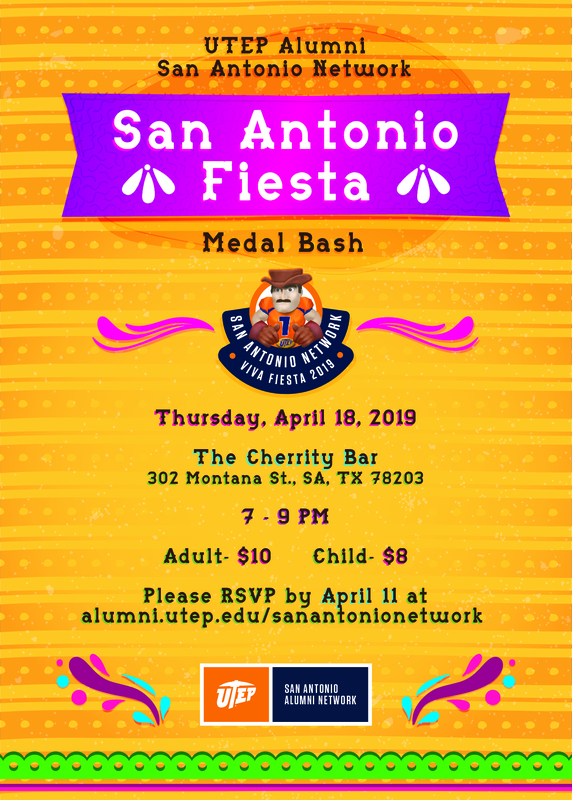 If you are interested in the 2019 UTEP Fiesta Medal please email Ale or Jaime Monreal at jmonreal@outlook.com for more information. 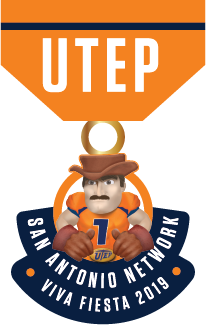 If you are interested in joining the San Antonio Alumni Network or would like us to contact you to provide more information, please provide the following information.